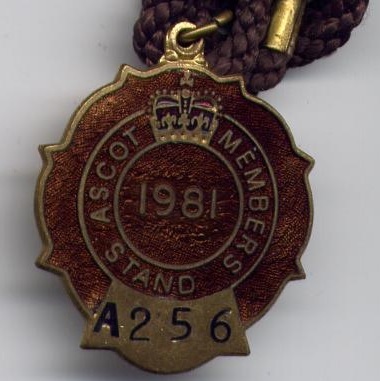 It was Queen Anne who first saw the potential for racing at Ascot, which in those days was known as East Cote, while she was out riding from Windsor Castle.  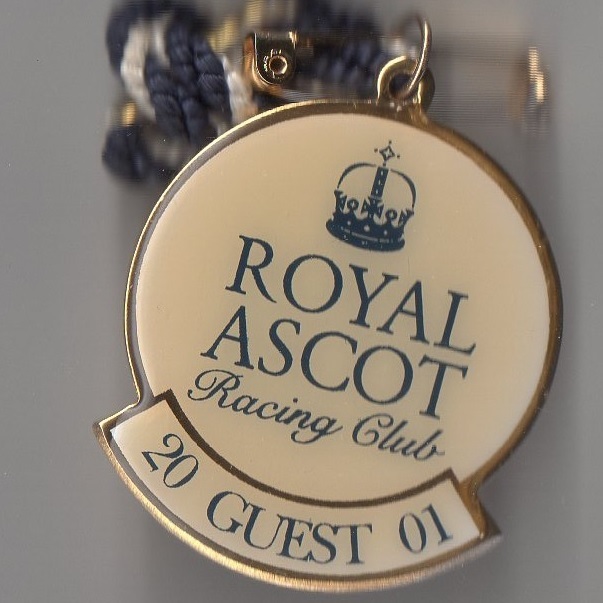 The inaugural race meeting took place on Saturday 11th August 1711, opening with Her Majesty’s 100 Guineas Plate. 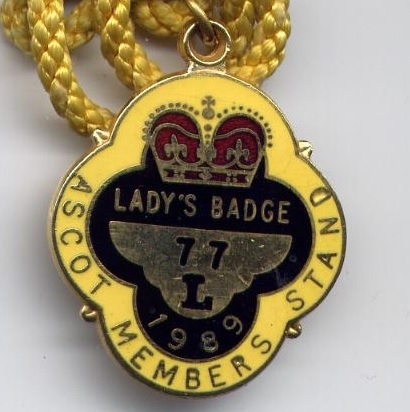 As a mark of respect, when Queen Anne died on Sunday 1st August 1714 the meeting was postponed and racing abandoned for the year. 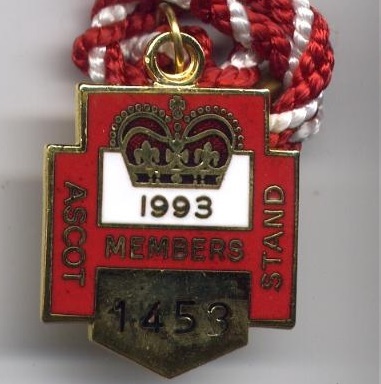 It was to be a further 76 years before a ‘Royal Enclosure’ was established in 1790, albeit a temporary stand which was erected during the Royal Meeting, with entrance to the exclusive stand restricted to those invited by King George III. 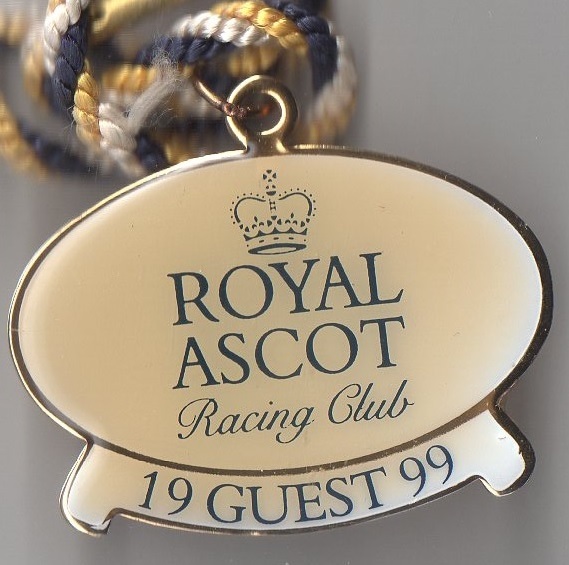 The next year a royal win was celebrated when the Prince of Wales won the Oatlands Stakes with Baronet. 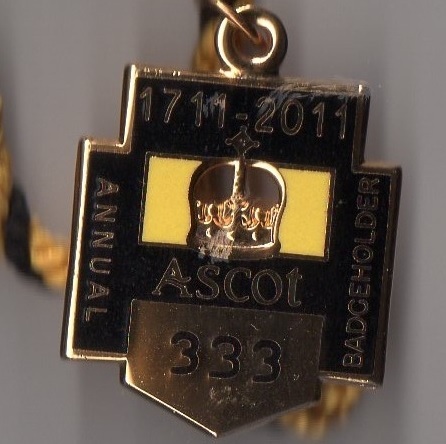 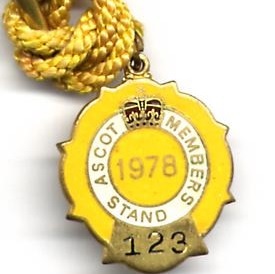 The Ascot Gold Cup (all results shown below), over 2 ½ miles, was first run in 1807 when won by Master Jackey, and the first Royal procession, starting from Windsor Castle, was in 1825. 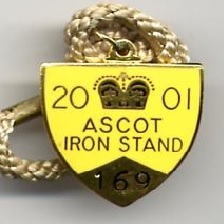 On the 16th January 1839 the foundation stone of the new Grand Stand at Ascot was laid, this being between the Royal Stand and the Betting Stand. 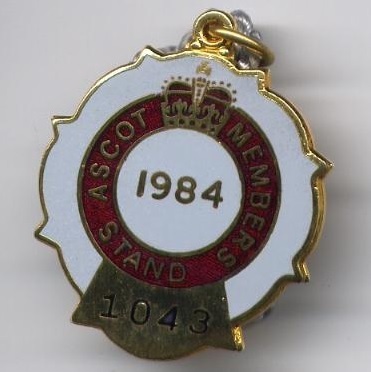 The new Grandstand would have the capacity to hold some 3,000 spectators and would cost almost £10,000 to build. 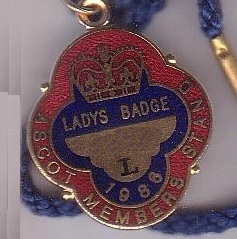 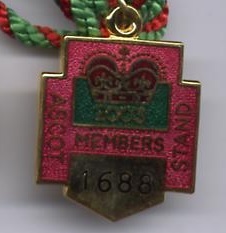 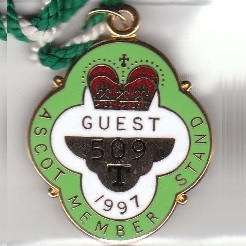 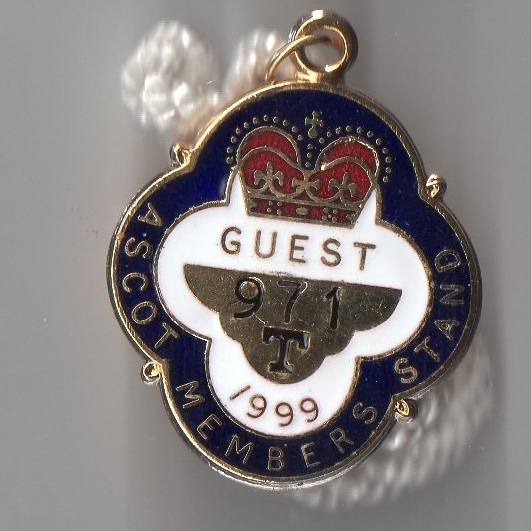 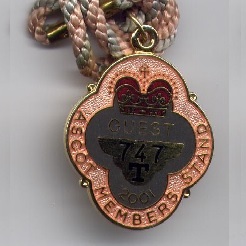 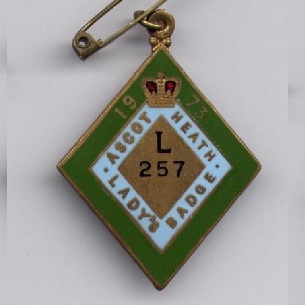 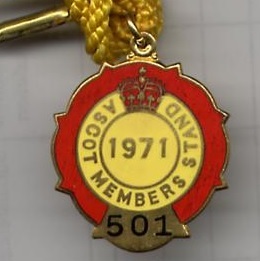 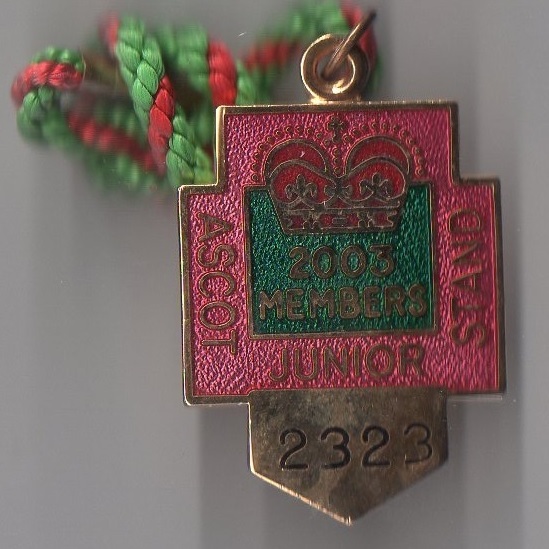 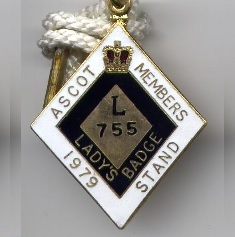 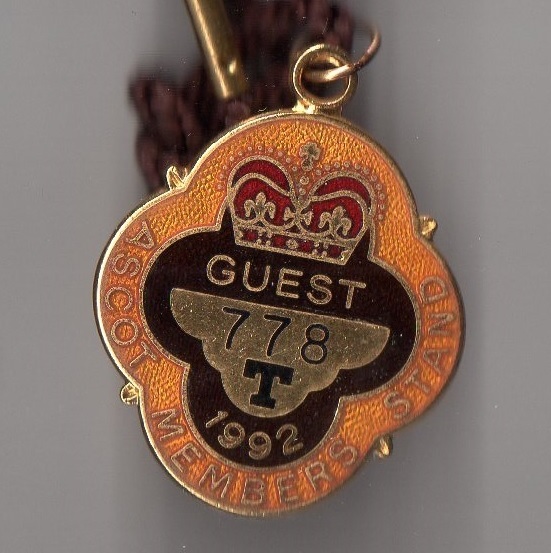 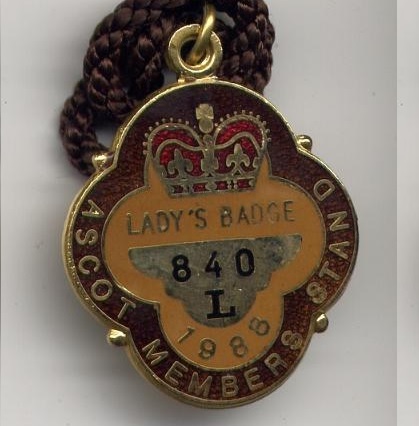 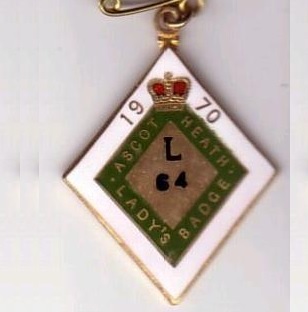 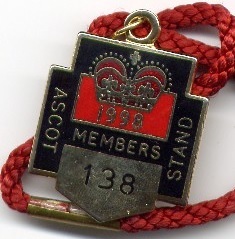 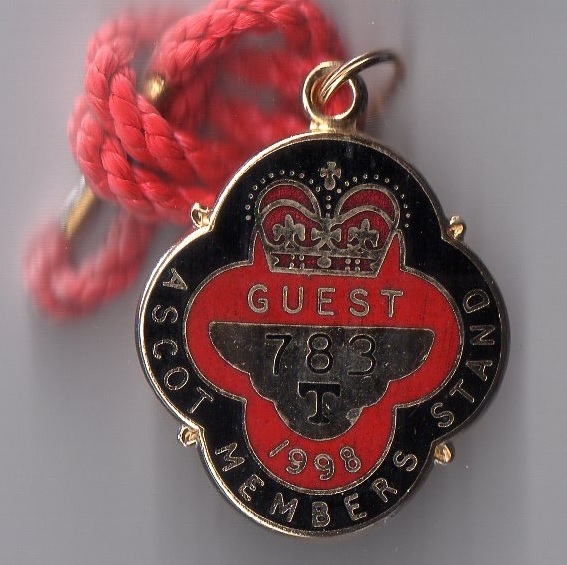 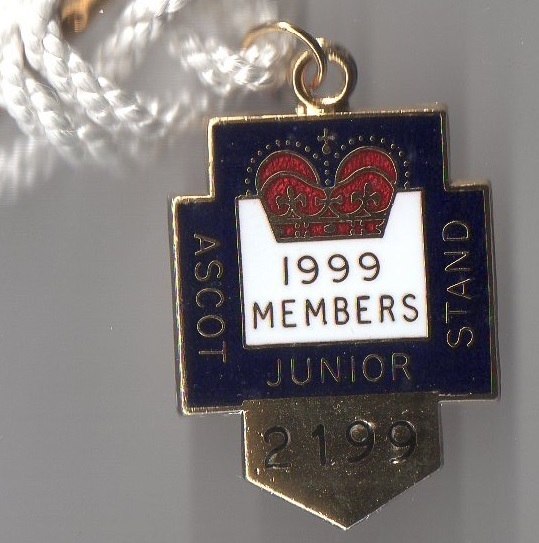 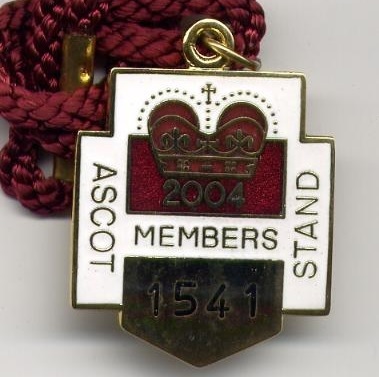 To raise such funds shares were offered and those subscribing £100 were given a silver pass, this would enable the subscriber to enjoy free entry to the stand for 61 years. 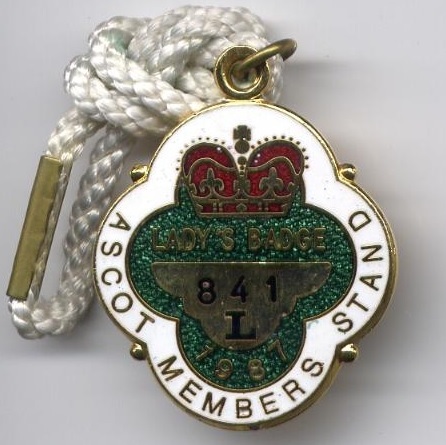 However, this privilege was revoked in 1870. 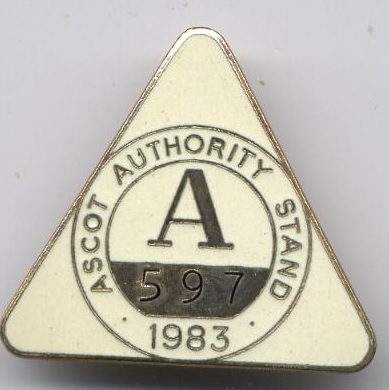 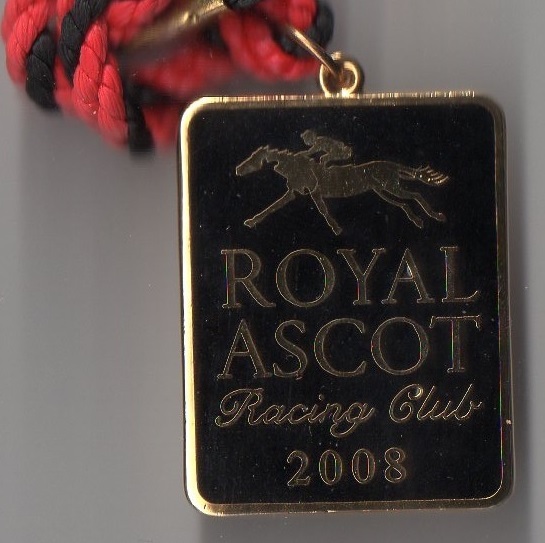 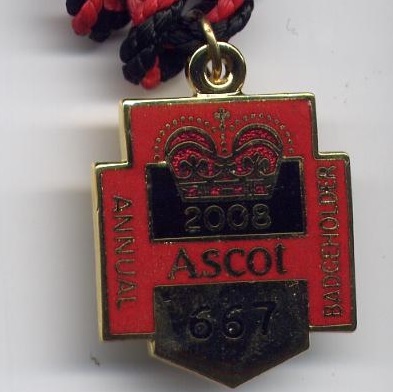 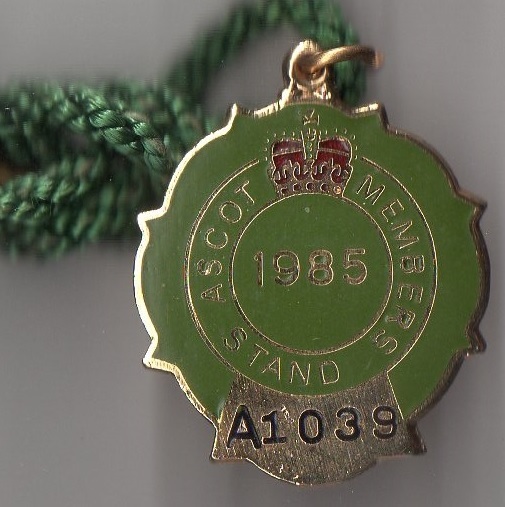 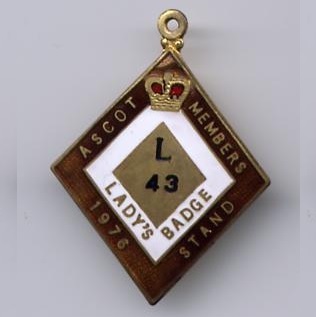 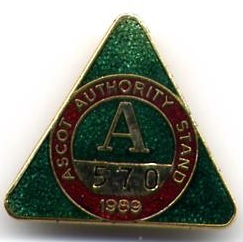 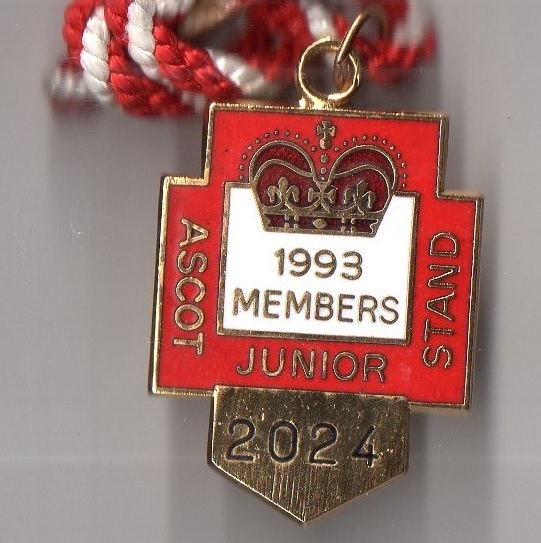 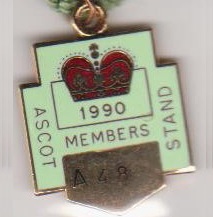 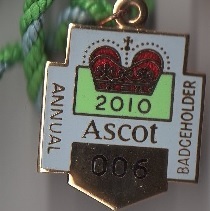 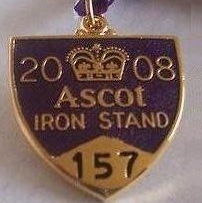 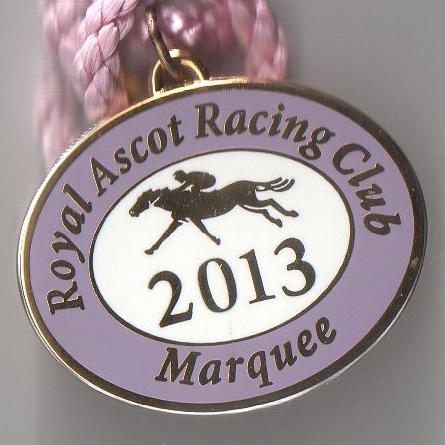 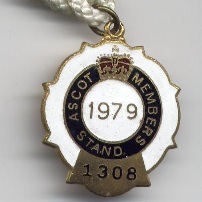 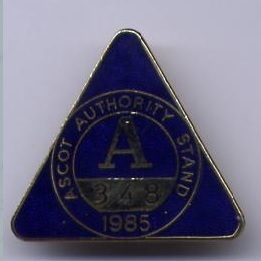 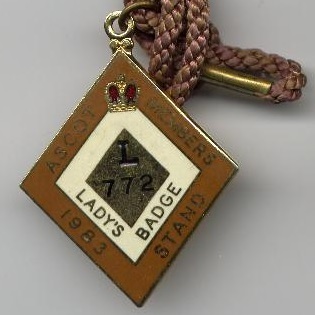 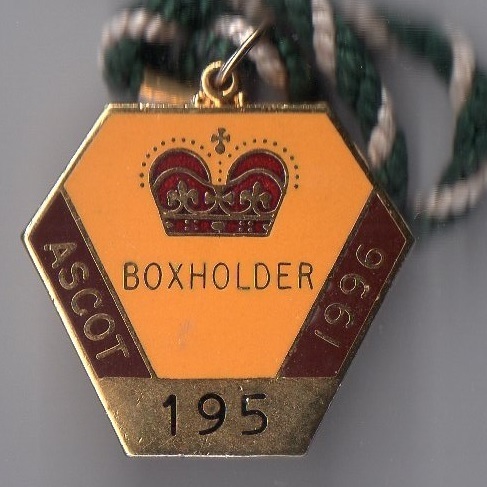 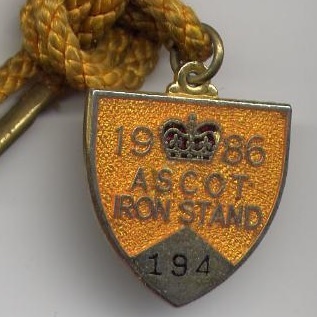 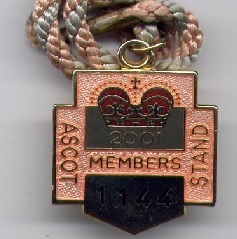 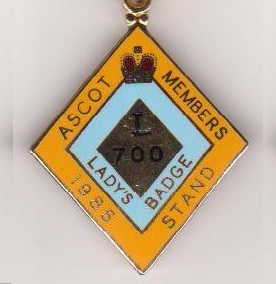 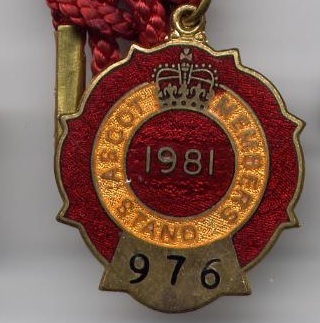 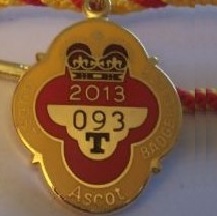 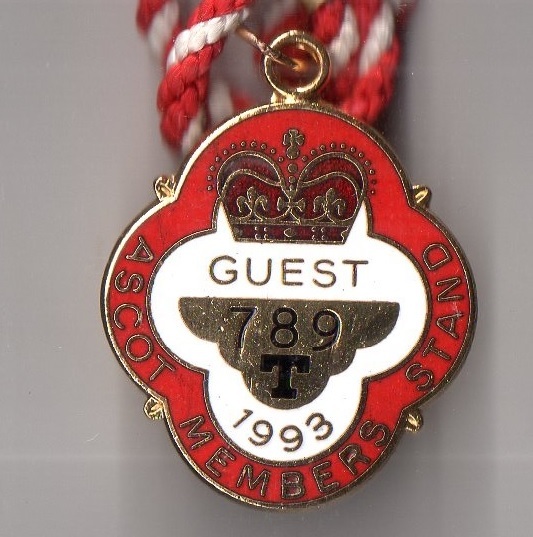 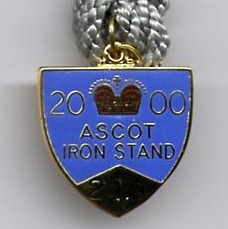 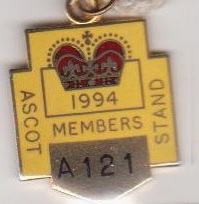 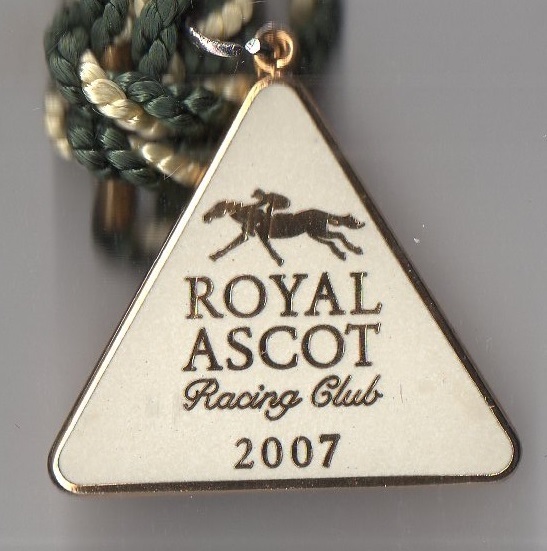 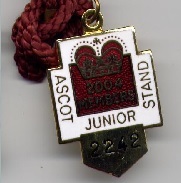 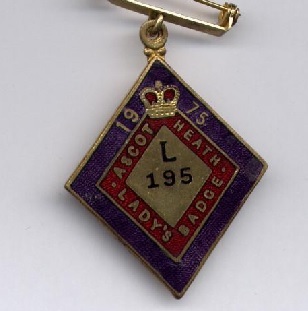 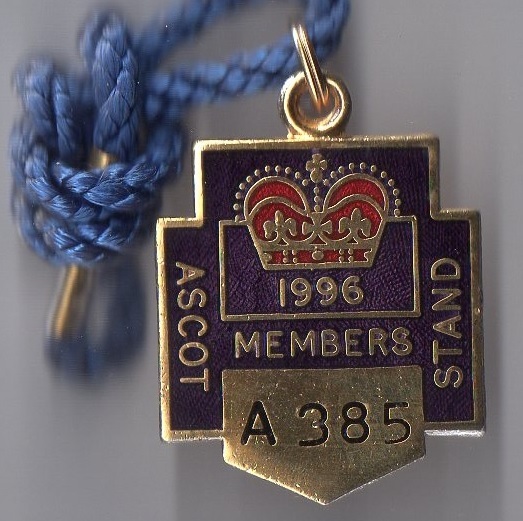 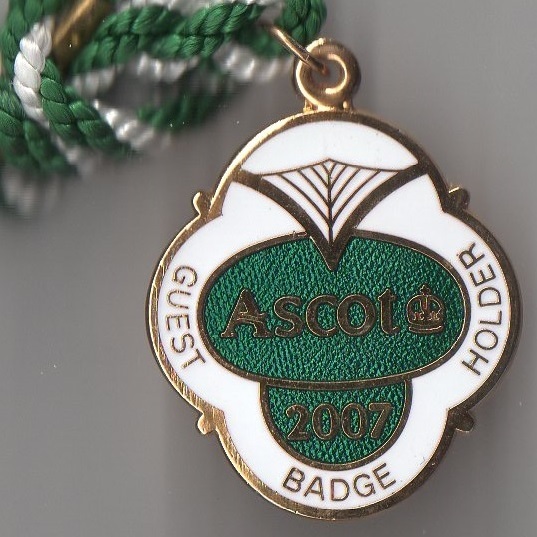 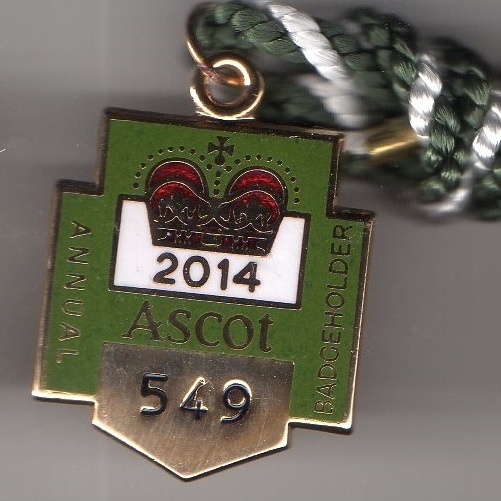 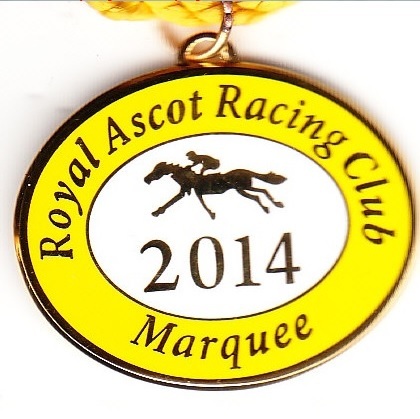 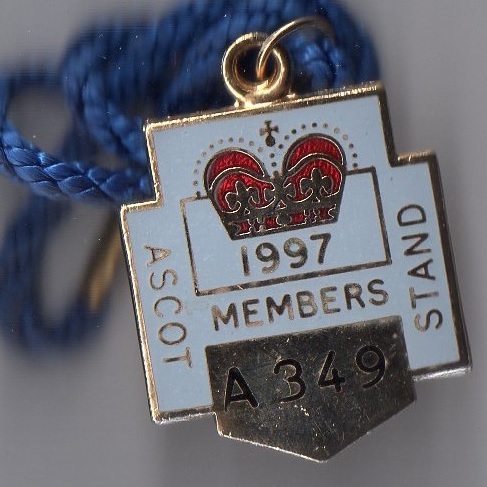 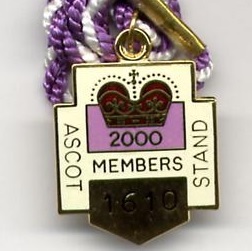 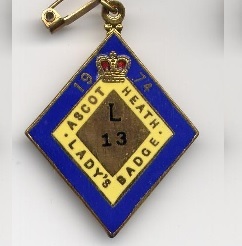 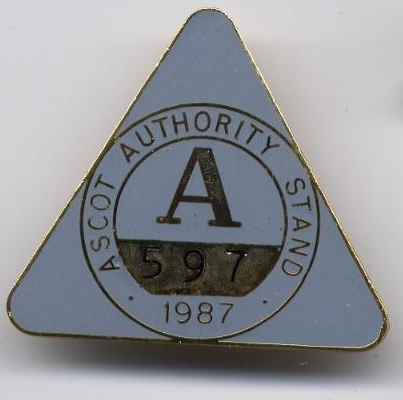 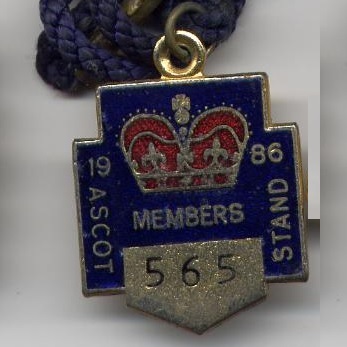 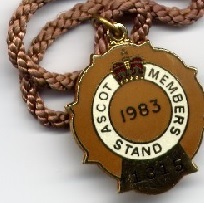 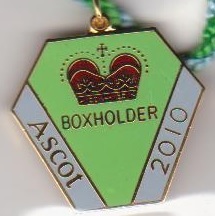 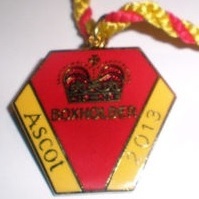 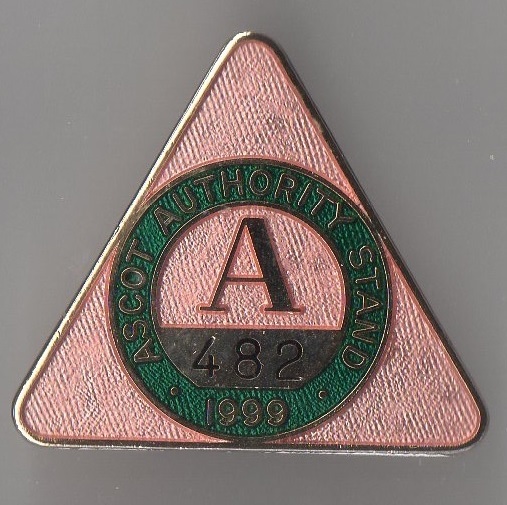 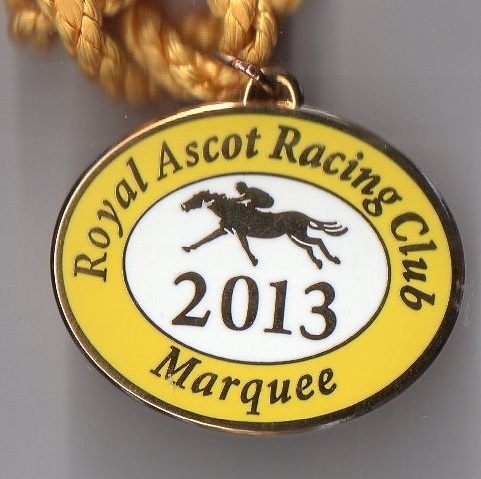 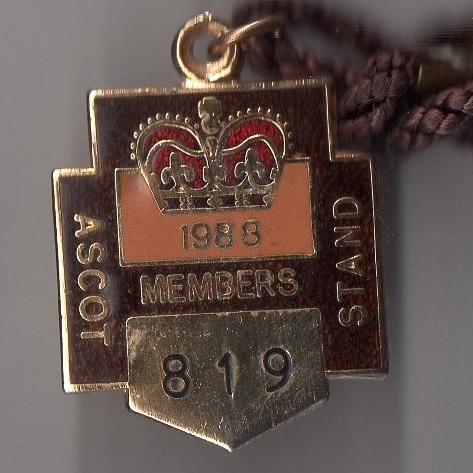 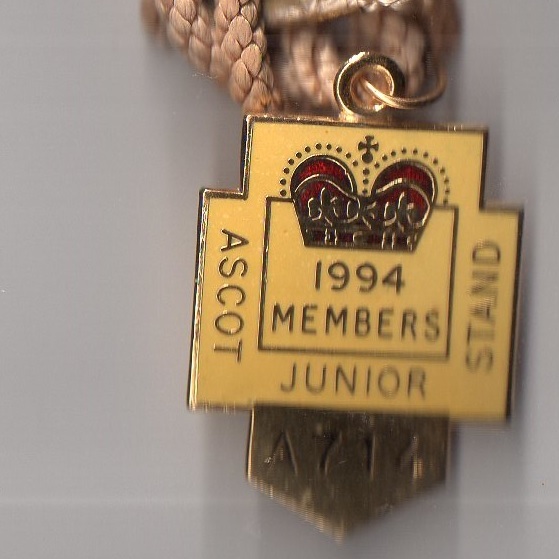 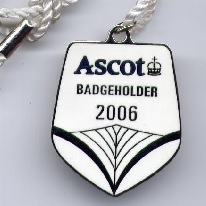 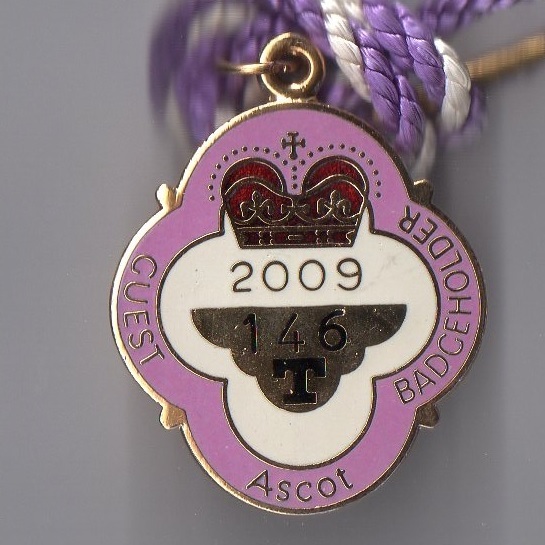 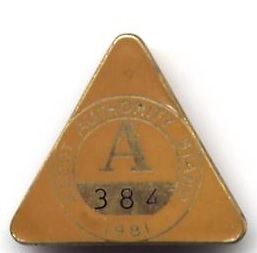 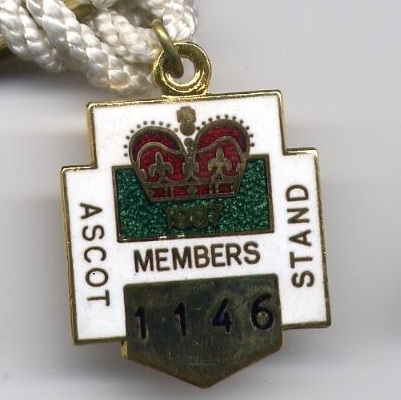 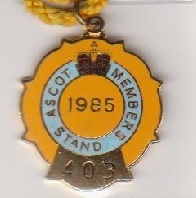 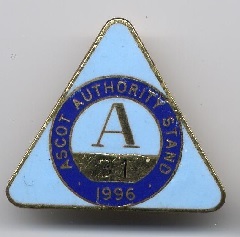 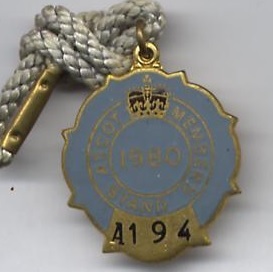 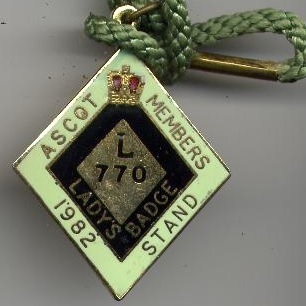 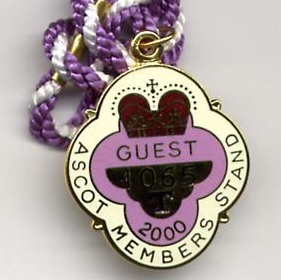 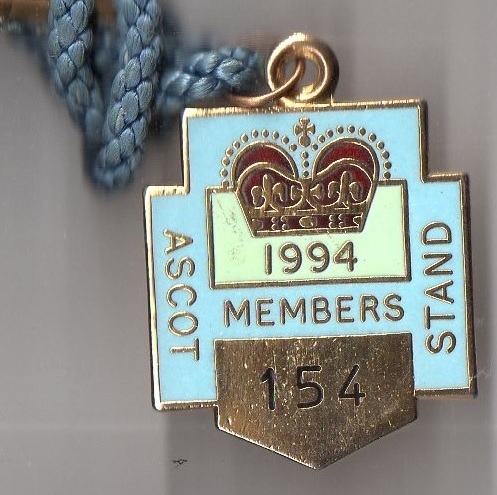 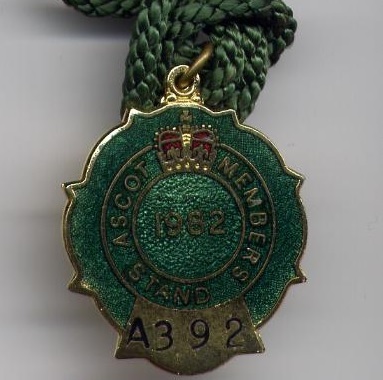 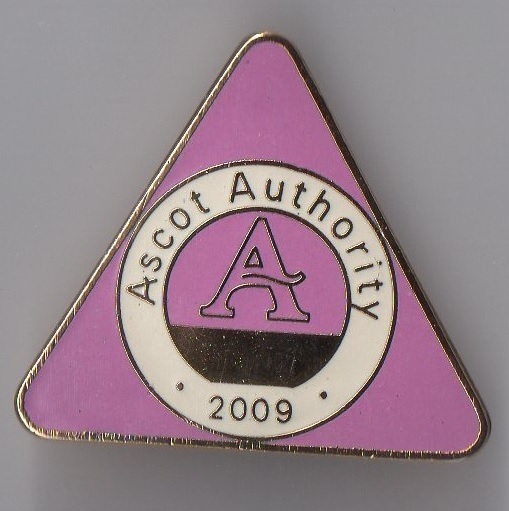 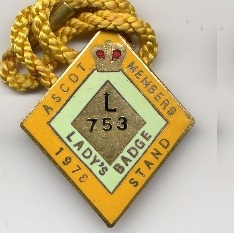 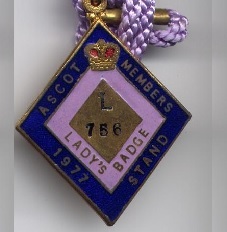 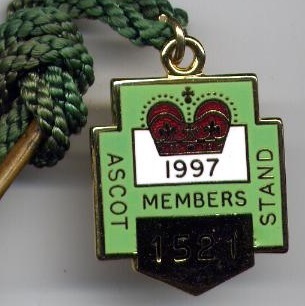 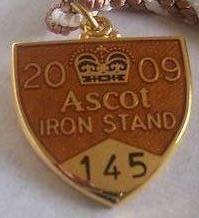 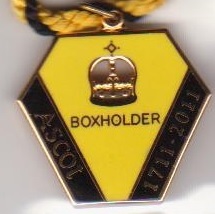 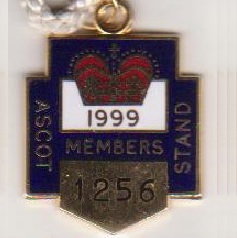 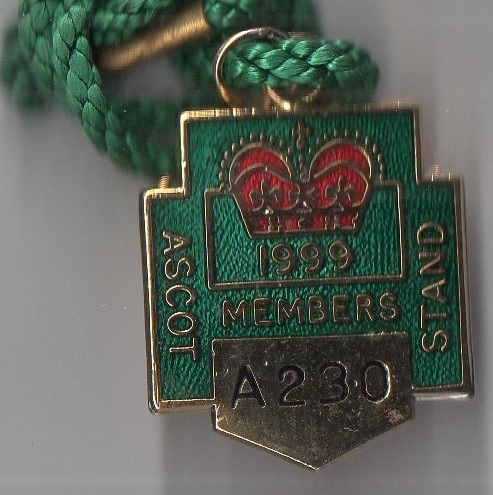 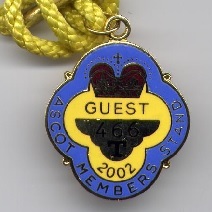 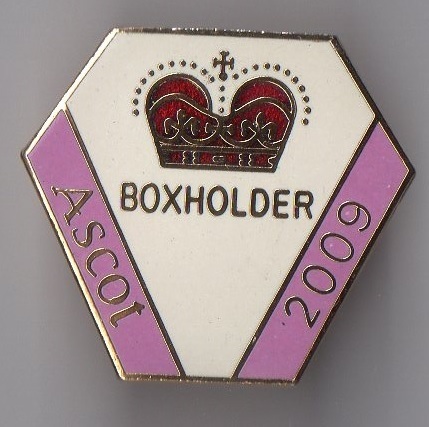 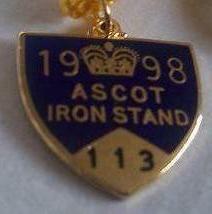 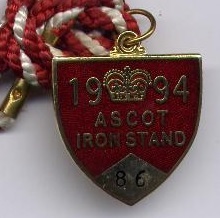 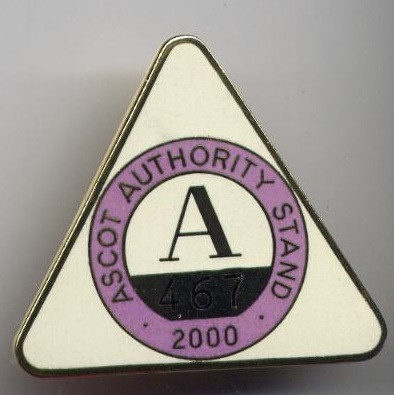 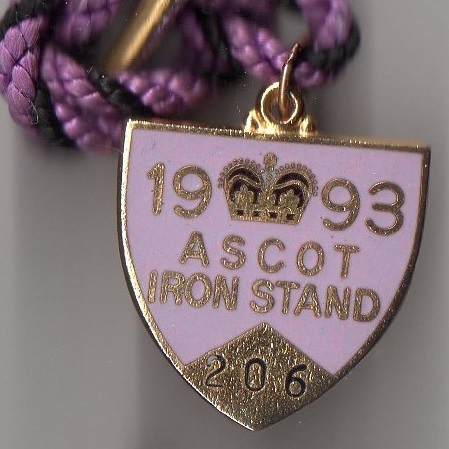 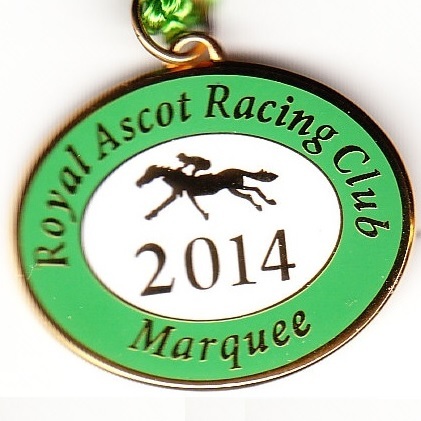 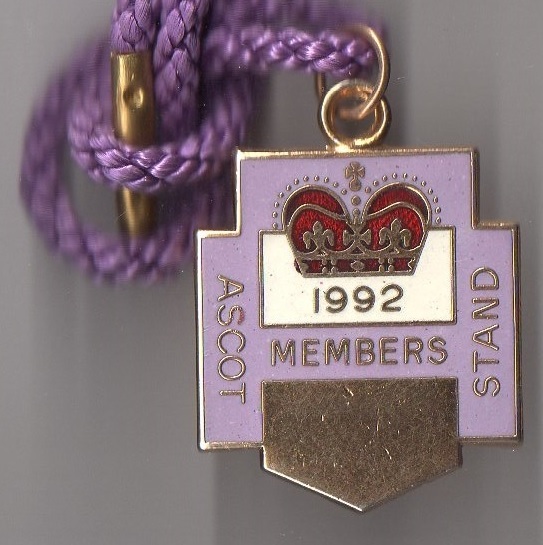 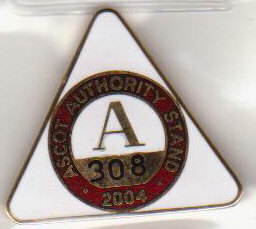 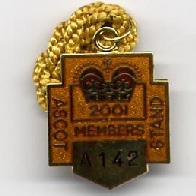 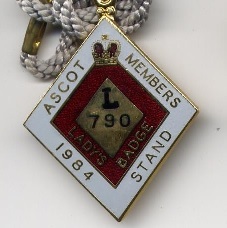 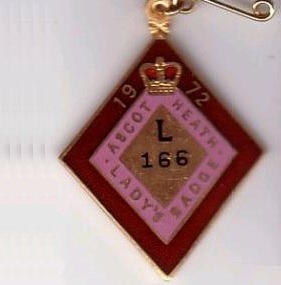 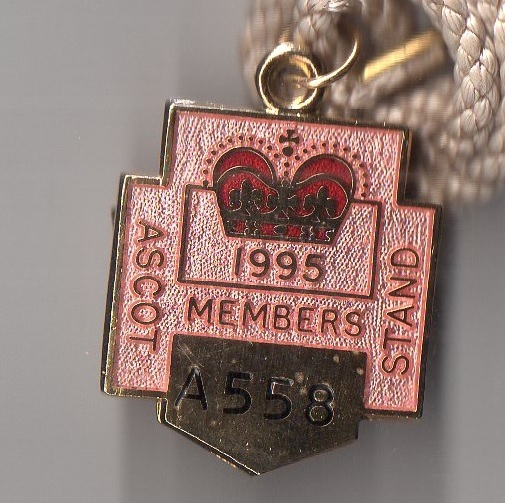 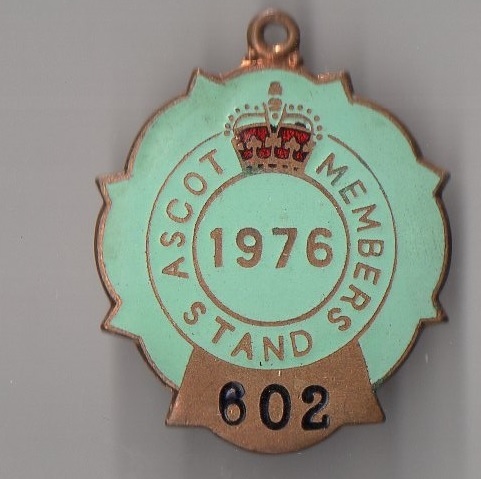 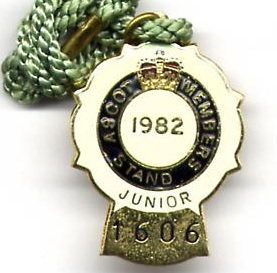 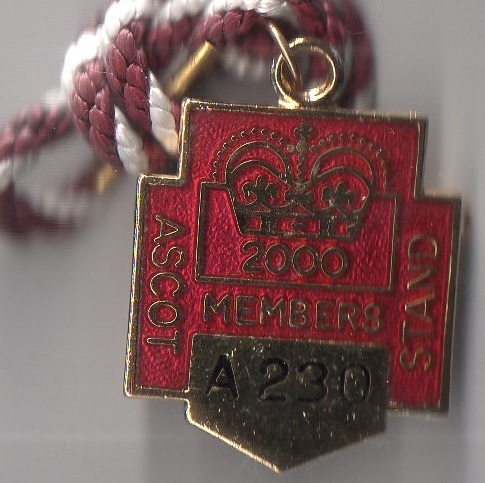 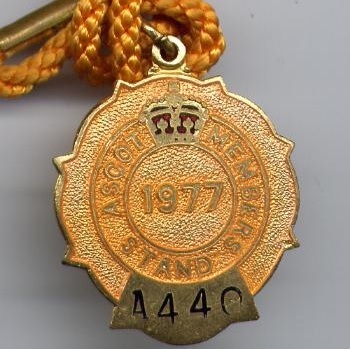 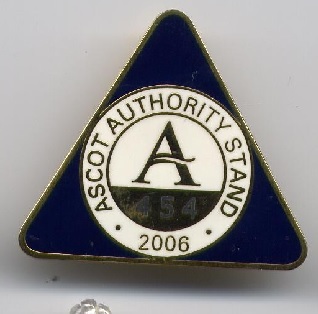 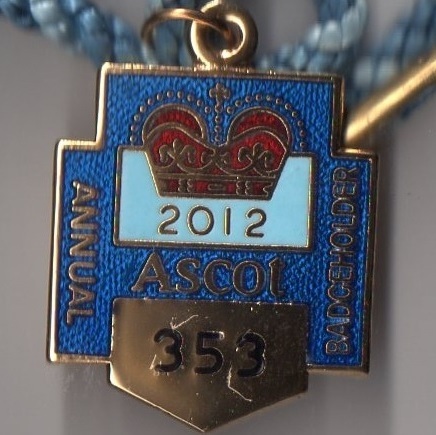 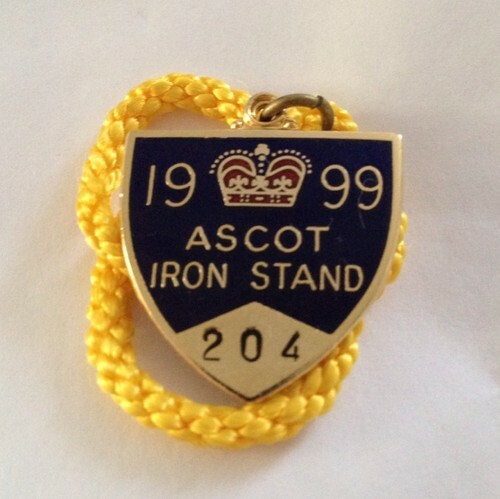 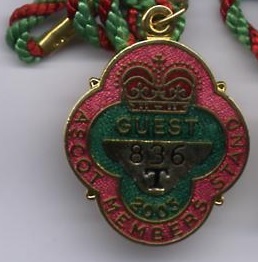 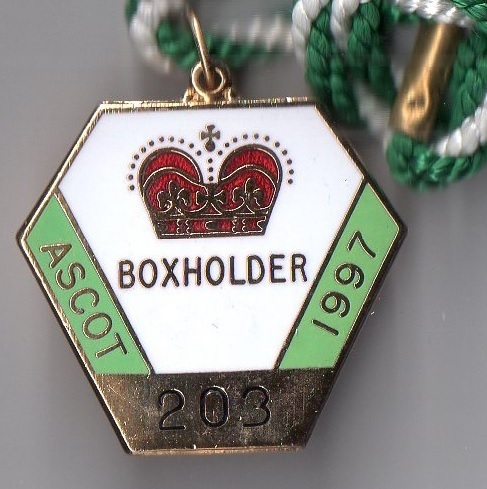 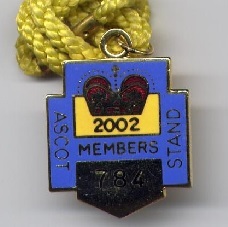 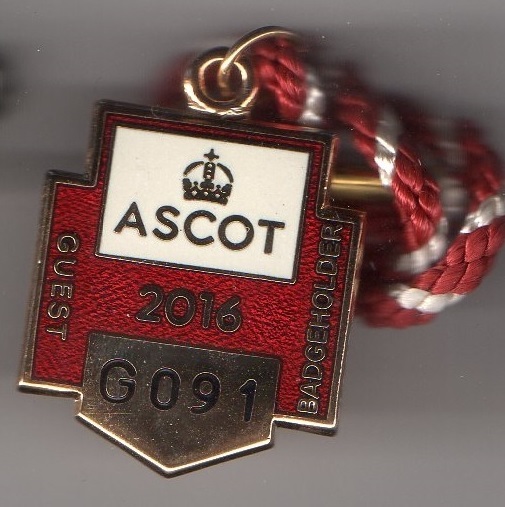 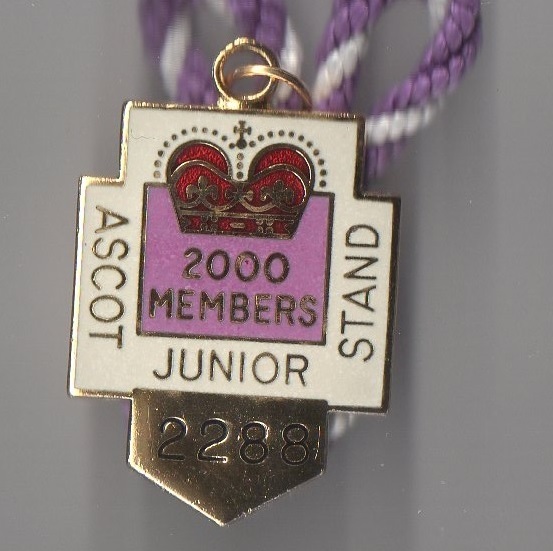 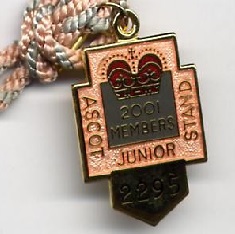 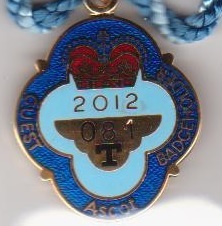 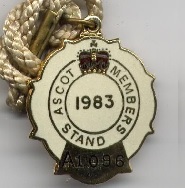 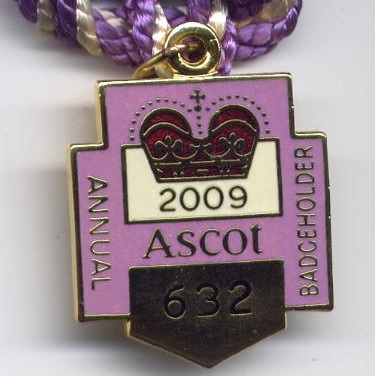 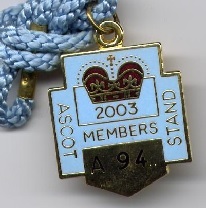 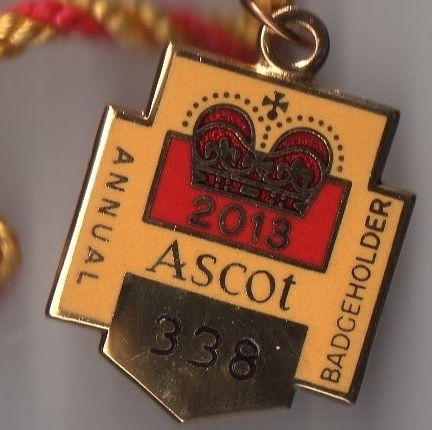 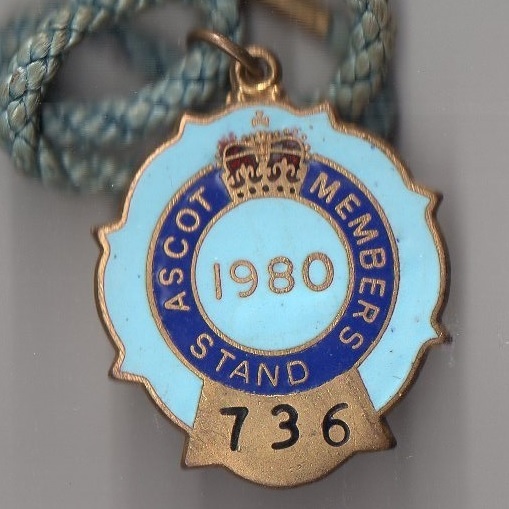 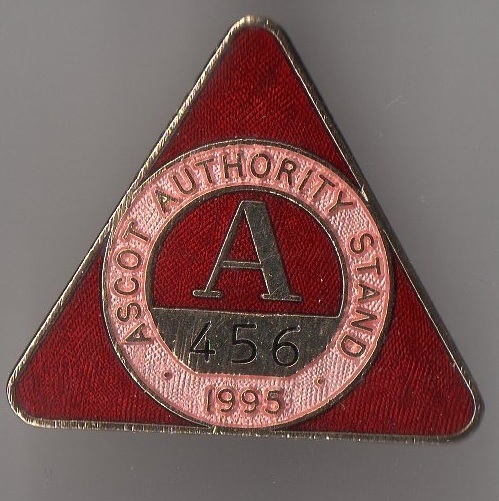 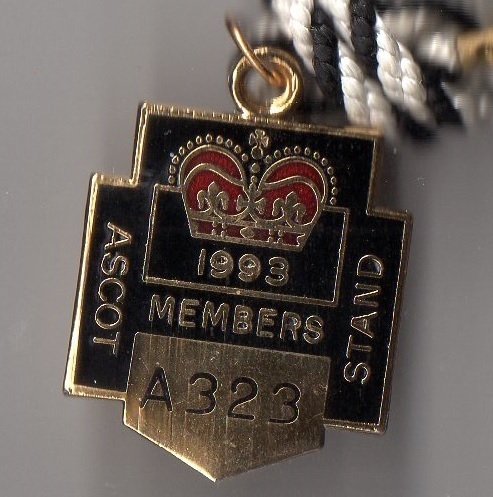 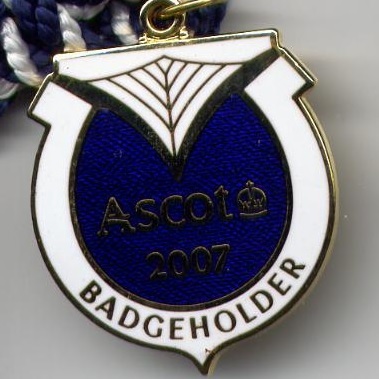 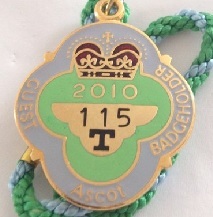 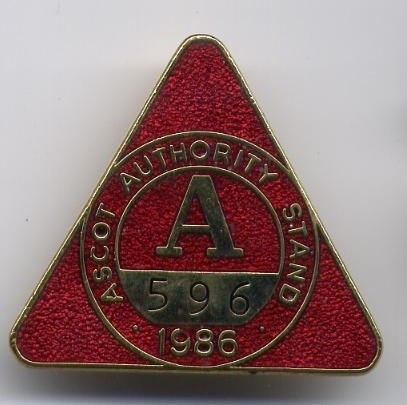 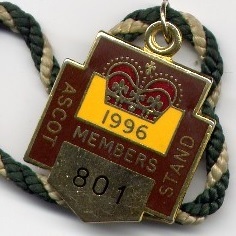 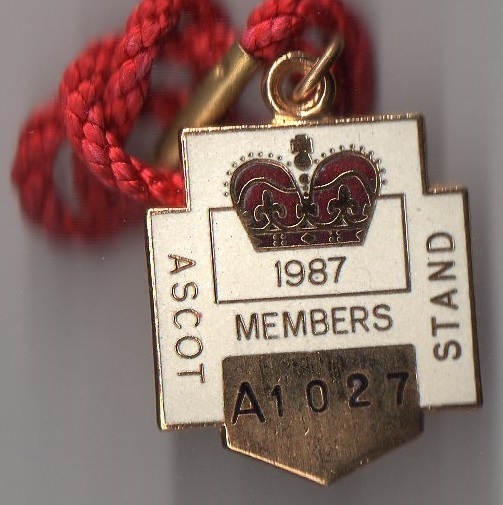 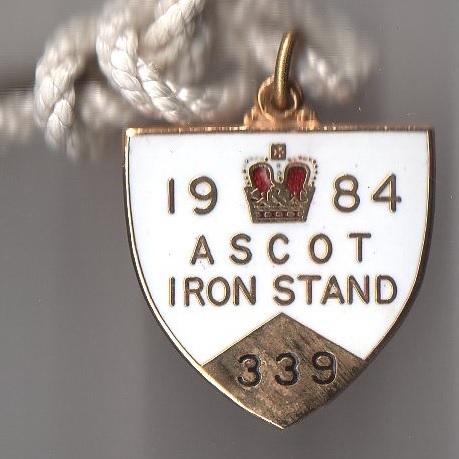 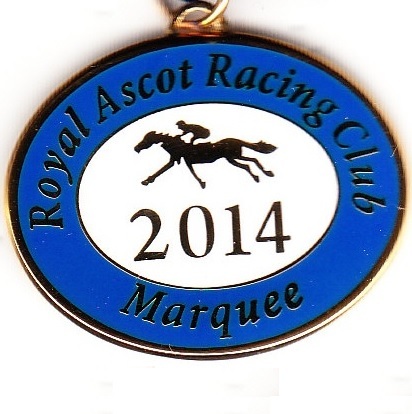 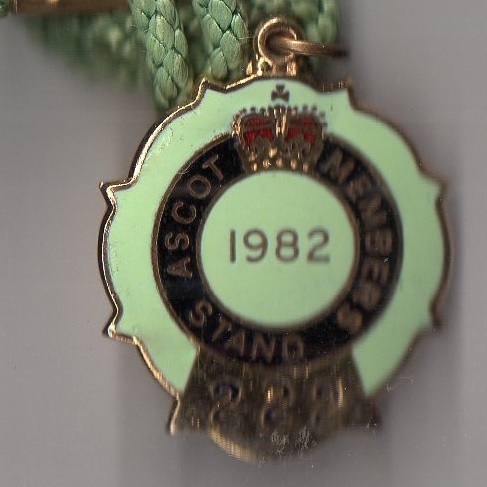 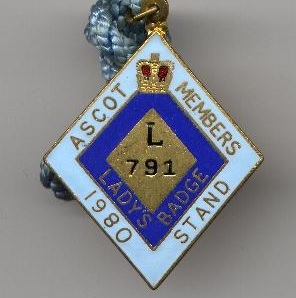 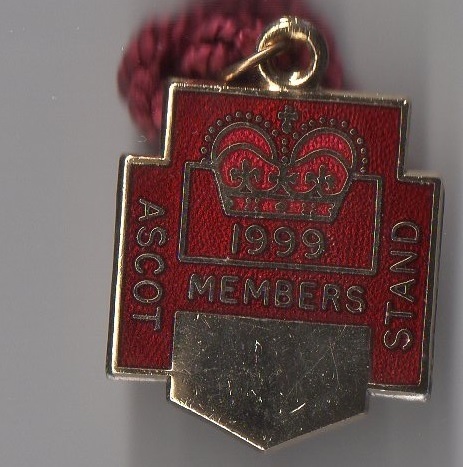 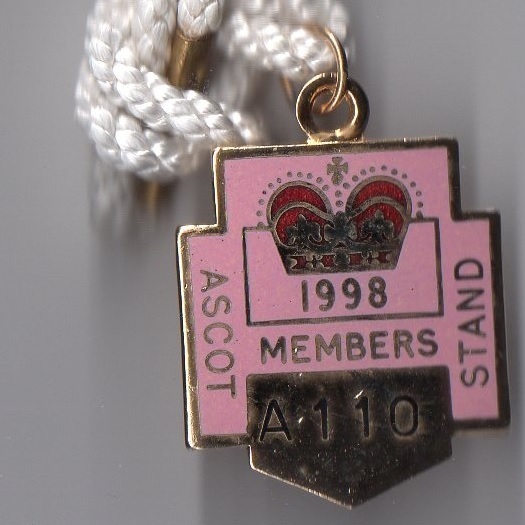 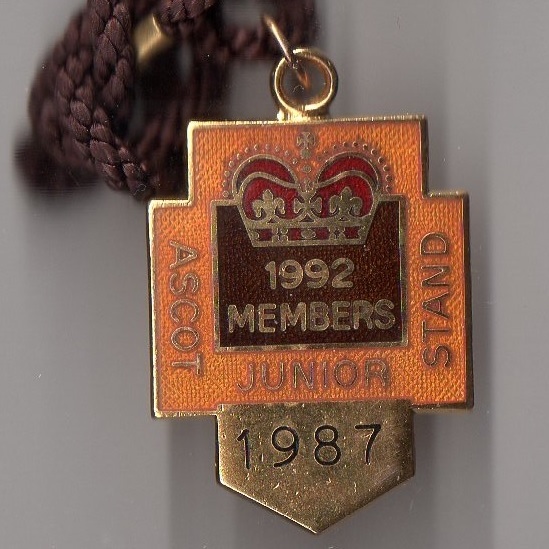 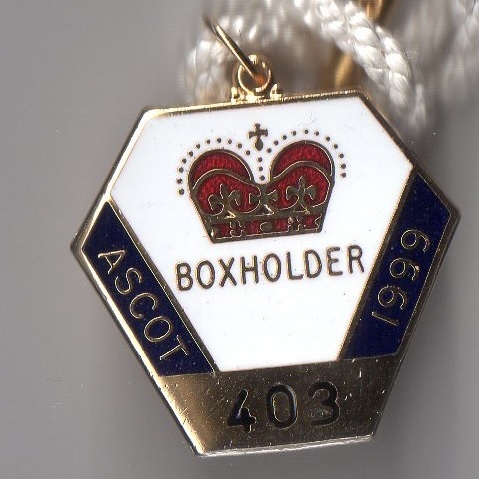 Ascot Authority, which still manages the racecourse today, came into being in 1913, created by an Act of Parliament. 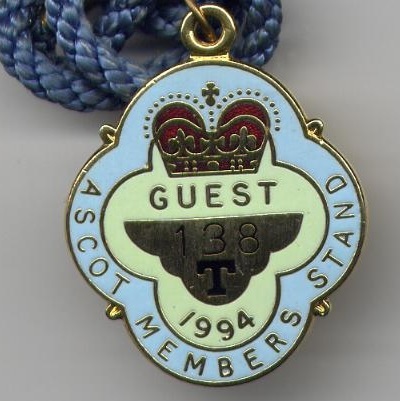 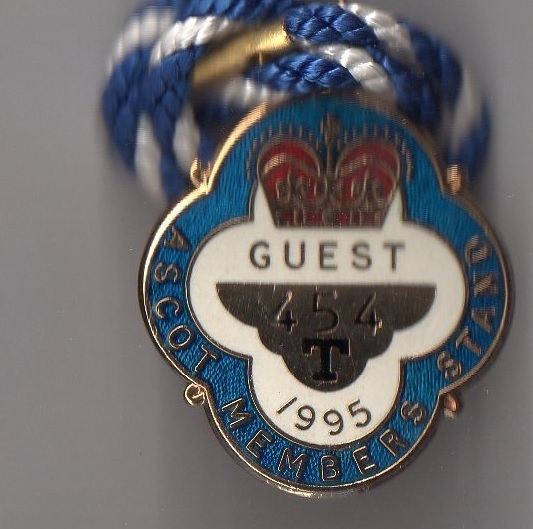 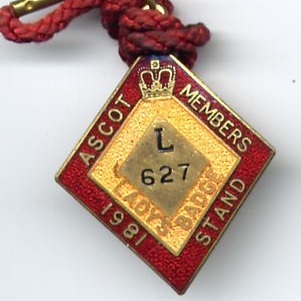 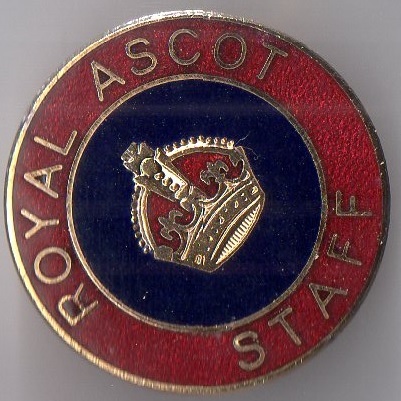 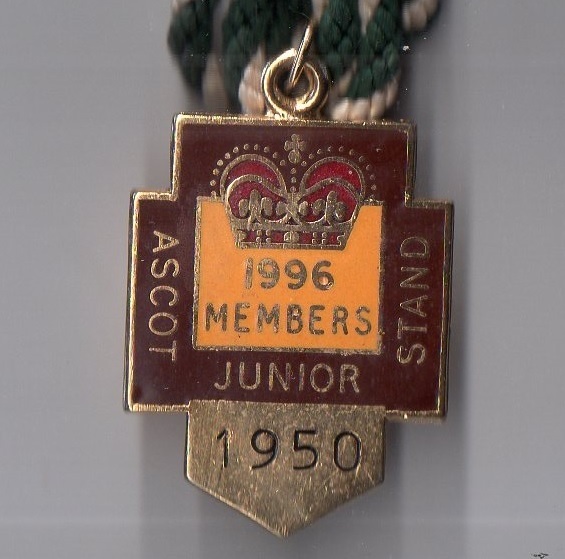 Prior to 1945 the only racing to take place at Ascot was the Royal meeting, but the range of meetings was extended in 1945, although nowhere near the extensive programme which is offered today. 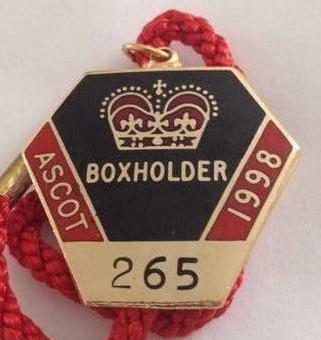 It was to be a further 19 years before work on the Royal Enclosure began, finally opening in 1964. 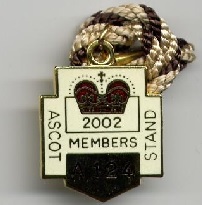 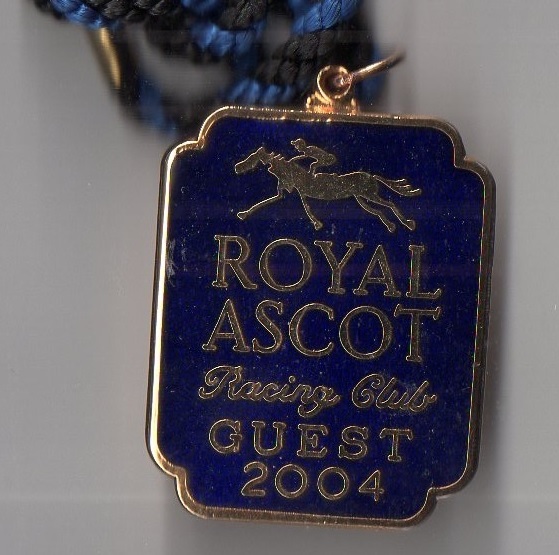 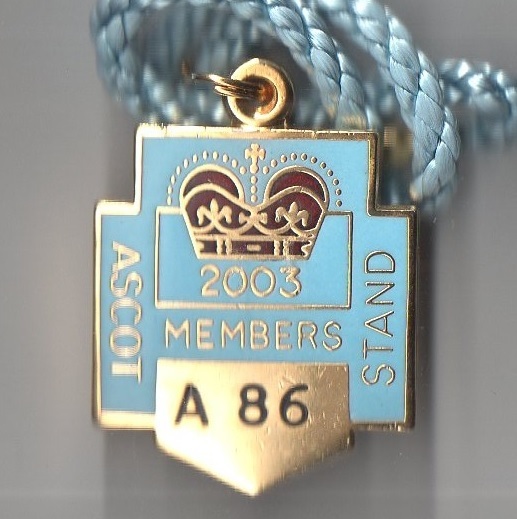 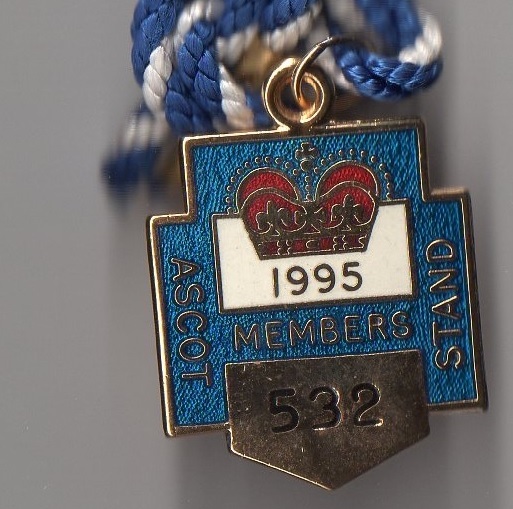 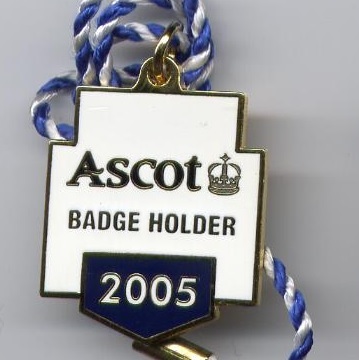 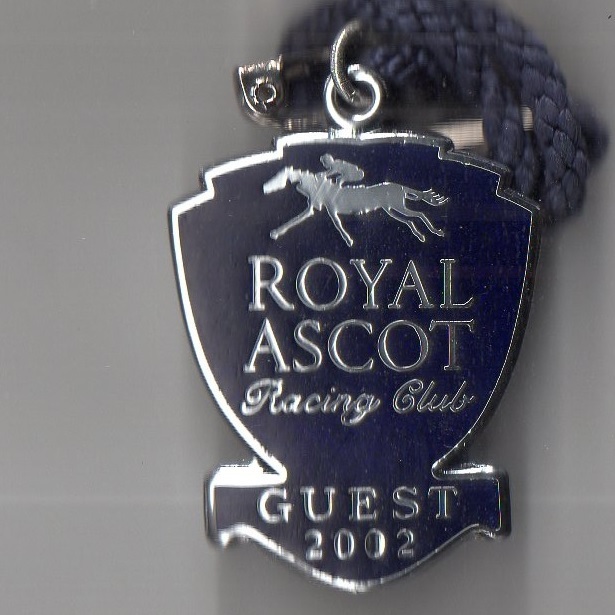 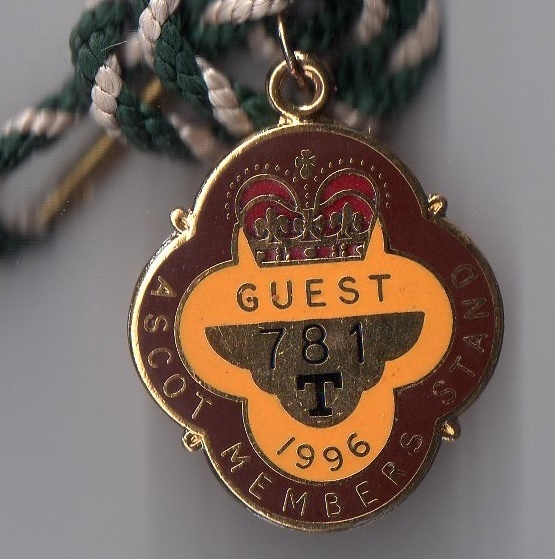 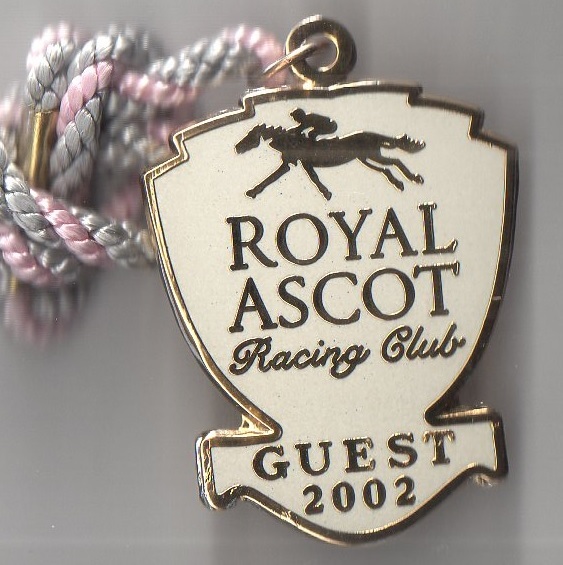 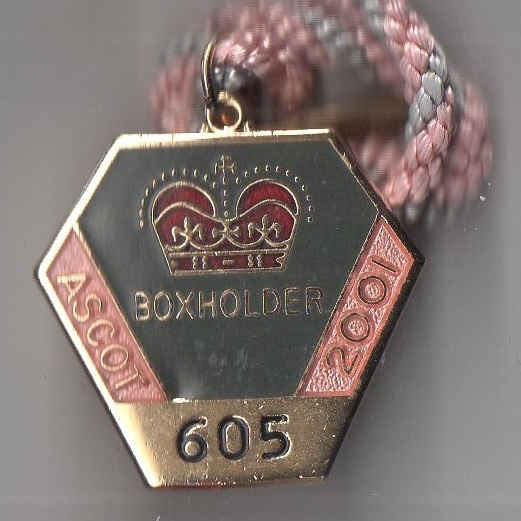 An historic event took place in 2005 when work on an incredible grandstand meant that the Royal Ascot meeting could not take place at Ascot and was transferred to ‘the Ascot of the north’ York. 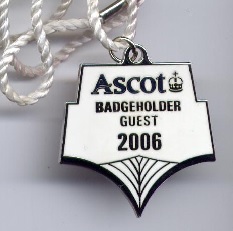 Ascot remains one of the country’s most prestigious racecourses offering twenty one days of racing in addition to the five days of Royal Ascot. 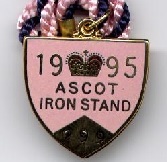 Further highlights include Shergar Cup day and QIPCO Champions Day.